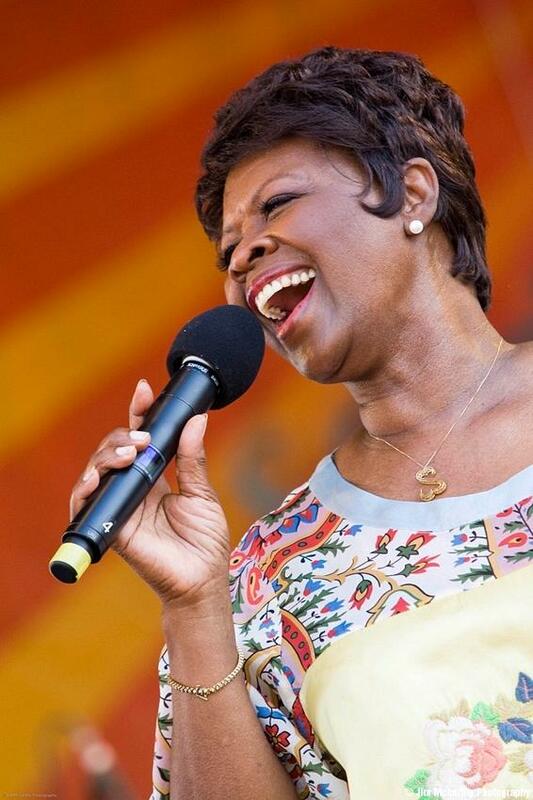 The unrivaled Soul Queen of New Orleans -- a title officially bestowed by local officials, no less -- Irma Thomas ranks among Crescent City R&B's greatest and most enduring musical ambassadors, never enjoying the coast-to-coast commercial success of contemporaries like Aretha Franklin and Etta James but nevertheless breathing the same rarified air in the minds of many soul music aficionados. Born Irma Lee in Ponchatoula, LA, on February 18, 1941, as a teen she sang with a Baptist church choir, even auditioning for Specialty Records as a 13-year-old. A year later, she gave birth to her first child, marrying the baby's father and subsequently giving birth to another child before the union dissolved. At 17 she wed again, this time to one Andrew Thomas, having two more babies before she again divorced, all before the age of 20. Keeping her second ex-husband's surname, Thomas went to work as a waitress at New Orleans' Pimlico Club, occasionally sitting in with bandleader Tommy Ridgley. When the club's owner dismissed her for spending more time singing than waiting tables, Ridgley agreed to help her land a record deal, setting up auditions with the local Minit and Ronn labels. The latter issued her saucy debut single, "You Can Have My Husband (But Don't Mess with My Man)," in the spring of 1960, and the record quickly reached the number 22 spot on the Billboard R&B chart. However, Thomas accused Ronn of withholding royalties and after one more effort for the label, "A Good Man," she briefly landed with the Bandy label, releasing 1961's "Look Up" before relocating to Minit. Thomas' first Minit release, "Girl Needs Boy," inaugurated a collaboration with songwriter and producer Allen Toussaint that would continue throughout her tenure with the label; although none of her six Minit singles were significant hits, each was brilliant, in particular 1962's "It's Raining" (memorably revived by filmmaker Jim Jarmusch for his cult classic Down by Law) and the following year's "Ruler of My Heart," reworked by Otis Redding as "Pain in My Heart." Imperial Records acquired Minit in 1963, and Thomas' contract was included in the deal. Her first single for the label, the starkly intimate "Wish Someone Would Care," capitalized on Imperial's deep pockets to vault into the Billboard pop Top 20, while its Jackie DeShannon/Sharon Sheeley-penned B-side, "Break-a-Way," proved a massive hit on New Orleans radio, later accumulating cover versions by singers from Beryl Marsden to Tracey Ullman. The follow-up, "Anyone Who Knows What Love Is (Will Understand)," was even better, a magnificent ballad featuring one of Thomas' most finely wrought vocals, but was not a hit. Likewise, its Jerry Ragovoy-penned B-side, "Time Is on My Side," had its fans, not the least of them the Rolling Stones, who scored a massive hit with a virtual note-for-note cover version. Thomas closed out 1964 with a pair of minor chart entries, "Times Have Changed" and "He's My Guy," both of them written by Van McCoy; for subsequent efforts including "I'm Gonna Cry Till My Tears Run Dry" and "The Hurt's All Gone," she even traveled to New York City to record with hitmaker Ragovoy, but despite the pedigrees of those involved, her commercial momentum dissipated, and following the chart failure of 1966's James Brown-produced "It's a Man's-Woman's World," Imperial terminated her contract. Thomas next signed with Chess Records, traveling to Rick Hall's legendary Muscle Shoals studio Fame to cut 1967's "Cheater Man." Neither that record nor its follow-up, "A Woman Will Do Wrong Charted," had much success, but her third Chess single, a reading of Redding's "Good to Me," was a minor R&B chart entry in 1968. It was not enough to extend Thomas' relationship with Chess, however, and she spent the next several years outside the studio. In the aftermath of the devastating Hurricane Camille, she relocated her family to Oakland, CA, in 1969, later settling in Los Angeles. During this time Thomas supported her children by working at retailer Montgomery Ward, resurfacing on record with 1971's Cotillion label release "Full Time Woman." Later that year, she also issued "Save a Little Bit" on the tiny Canyon label, followed in 1972 by "I'd Do It All for You." Thomas returned in 1973 with "These Four Walls" on Roker, followed by three singles on the horribly named Fungus label: "You're the Dog (I Do the Barking Myself)," "In Between Tears," and "Coming from Behind." She relocated back to New Orleans in 1976, a year later issuing "Hittin' on Nothin'" and a re-recorded "Breakaway" on Maison de Soul; in 1980, Thomas surfaced on the RCS label with Safe with Me, an ill-conceived LP that sought to update her sound to approximate disco-era R&B. It was the last record she would make for six years. In the interim, Thomas accelerated her live schedule. With husband/manager Emile Jackson, she opened the Lion's Den, a New Orleans club where she regularly headlined, and she also toured Europe, where her records still merited regular airplay. In 1985, she was approached by Rounder Records producer Scott Billington to make a comeback record. The New Rules appeared the following year, earning solid reviews and selling respectably. The Way I Feel hit stores in 1988, and with 1991's Live! Simply the Best, Thomas earned her first-ever Grammy nomination. The following year she issued True Believer, and in 1993 released her first gospel effort, Walk Around Heaven. She waited until 1997 to release her next secular record, The Story of My Life, blaming the delay in interviews on her difficulty in finding material appropriate to her age and sensibility. Thomas shifted gears radically for 1998's Sing It!, which paired her with devout fans Marcia Ball and Tracy Nelson; two years later saw the release of My Heart's in Memphis: The Songs of Dan Penn, with Thomas tackling both Penn classics ("I'm Your Puppet," "Woman Left Lonely") and original compositions. After the Rain, released in 2006, was nominated for a Best Contemporary Blues Album Grammy. Simply Grand was issued on Rounder Records in 2008, and featured Thomas in an acoustic setting accompanied by a host of piano players, including Dr. John, Ellis Marsalis, Randy Newman, and others.